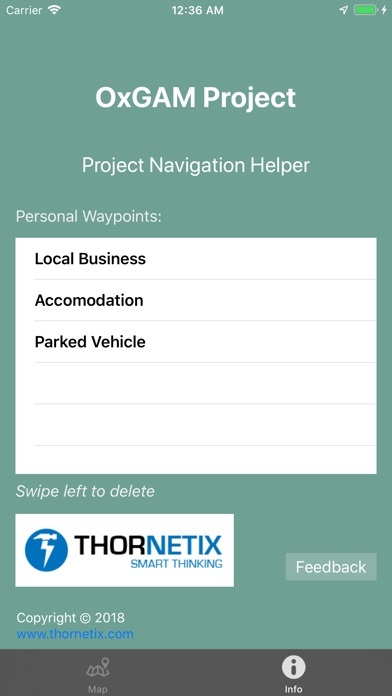 With the project specific waypoints, pipeline route and access points loaded inside, the OxGAM mobile app makes it easy for all personnel to find the location they need to be, simply and efficiently. 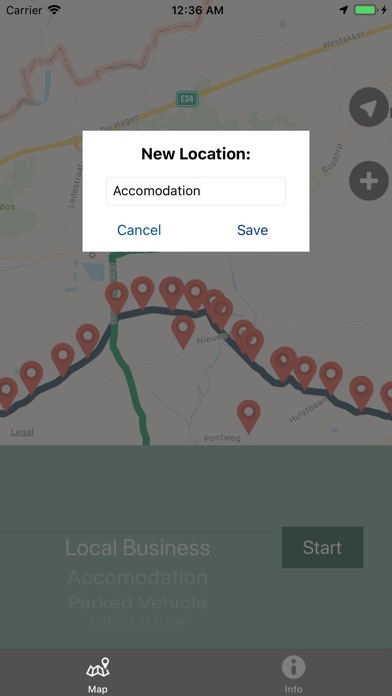 Simply pick a location from the list, or tap a marker directly on the map and the app will automatically calculate driving time and approximate route. Tap then the "Start" button and the user is given turn-by-turn directions to their desired location. You can also save your own custom locations by tapping the "+" button or holding your finger on the map location you would like to save, for 2 seconds.